This is a round Lively Limes porcelain sign. This particular Lively Limes sign is predominantly blue with red and white print. 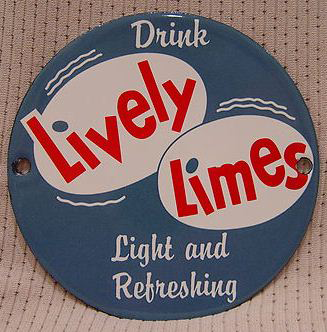 It reads, “Drink Lively Limes, Light and Refreshing” and features two white ovals in the center.